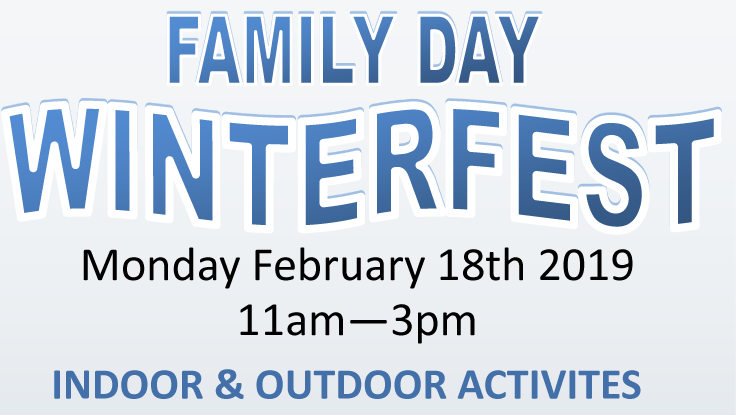 Family Day from 11 a.m. to 3 p.m. join us here at Heartland Forest for Winterfest. Indoor and Outdoor Activities for Kids. A $5.00 wrist band entitles your child to Train Rides, Scavenger Hunts, Crafts and More.